If you’re a Houston-area resident who’s heard scratching and scurrying noises coming from your attic during the day, there is a high likelihood that squirrels have made themselves at home in your attic. Having unwanted pests in your home can be nerve wracking, but unwanted rodents is an entirely different story. 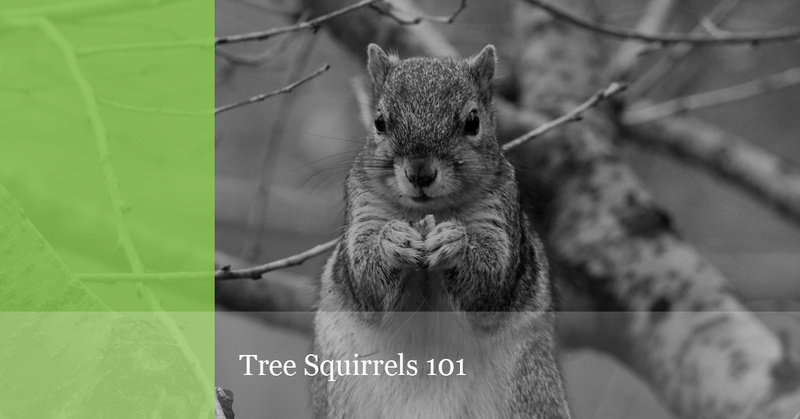 In today’s blog, we’ll review some basic information on tree squirrels in Texas and how you can rid your home of these destructive rodents. At Wildlife X Team in Houston, we provide industry-leading rodent control services that are safe, humane, and effective. If you are concerned you have squirrels in your attic, contact us at 281-377-6622 today to request an inspection! 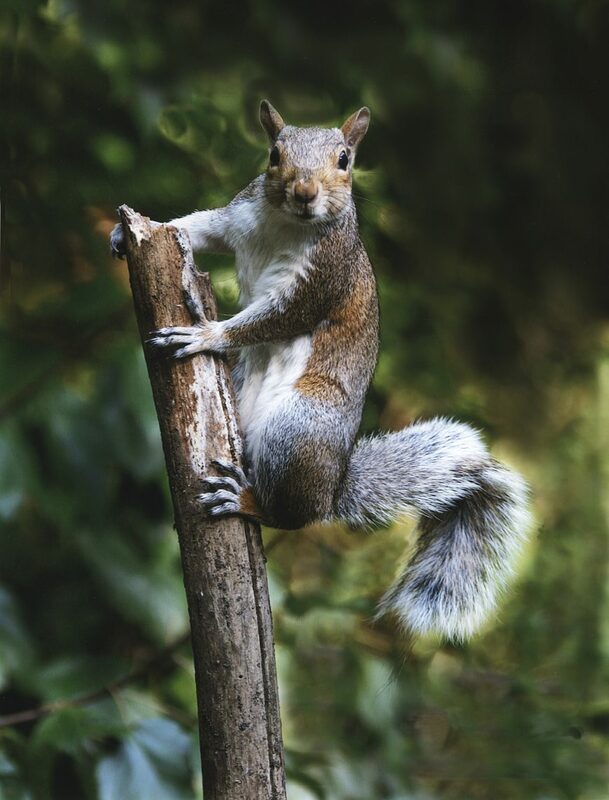 There are a few common species of squirrels in Texas, but the more popular ones are Fox Squirrels and Gray Squirrels. Let’s take a closer look at them below. This particular variety of squirrel is known for its brownish-gray coat and orange underside. It has a long, bushy tail that can be anywhere from seven to 14 inches long. Fox squirrels can weigh anywhere from one to three pounds and may range from 18 to 27 inches long. These squirrels have a long life span for rodents, and may live for four to seven years. Slightly smaller than Fox Squirrels, Gray Squirrels are grayish brown in color with a white or light tan underside. They also have a long bushy tail, but it is slightly shorter at only seven to 10 inches long. Gray Squirrels will weigh between one and two pounds and be between 16 and 20 inches long. Although they are smaller than Fox Squirrels, they have a longer lifespan, and may live anywhere between six to 10 years. Although not as common, Flying Squirrels have been known to inhabit our state. They are known for their pinkish-gray color and white underside along with their broad “wings.” These wings are webs of skin that connect the front and back legs, allowing them to “fly” from tree to tree. Flying squirrels have a flat, bushy tail and they are very small, weighing only about five ounces and are generally no longer than 12 inches. All three of these species can be classified as tree squirrels, and they will feed on a variety of things found in nature, such as nuts, seeds, berries, and fruit. They have also been known to feed on insects and tree bark. Often times, there are food sources in residential areas that will attract squirrels, such as bird feeders, pet food that’s left outside, and piles of firewood. If you’ve discovered unwanted squirrels on your property, removing food sources is an essential first step in rodent control. As you might suspect given their name, tree squirrels like the Fox, Gray, and Flying variety love to nest in trees. The especially prefer cavities inside of the tree or old, hollowed out woodpecker holes. They have also been known to make nests out of the leaves in the branches of trees. They like to have protected areas to have litters twice a year, and in the event that they are unable to nest in any of these tree-like locations, they will seek out places like residential attics for their homes. Like other rodents, squirrels can cause extensive damage to your home, both inside and outside. If they make their home in your attic, there is a high likelihood that any exposed wires and insulation will be chewed through or gnawed on. Additionally, as squirrels continue to nest in an attic and their population in your home increases, they will begin to chew holes around the outside of the attic to create easily accessible entry points for their friends and family. How Can Squirrels be Controlled? If you’ve heard tell-tale scurrying and noticed signs of squirrel damage in or around your attic, it’s usually wise to call in a professional pest and wildlife removal company. The most effective way to eradicate these pests from your home is by trapping and relocating them. A well-trained rodent control technician will know the proper traps and bait to use, as well as how to safely and humanely re-home the squirrels. Additionally, many rodent removal companies offer attic restoration as part of their removal services as an added benefit. At Wildlife X Team Houston, we understand the stress and inconvenience that pests and rodents can cause. Our team of professionals is available to perform rodent control services, including identification, trapping, and attic restoration. Call us at 281-377-6622 today to get started!